At the moment, we are sorry to inform you that we don't have this product in stock. The tangerine Clementina has a special flavour, it is characterised by its great amount of juice, its soft aroma, fine skin and for not containing nuggets. Its collection begins at the beginning of November and until the middle of January. In order for you to receive the fruit as freshly as possible, the fruit is collected as soon as you order it so you will enjoy the best taste and quality. The mandarin is known in Spain relatively recently, around 1845 the Count of Ripalda arrived to Valencia sticks to graft and check their behavior and development in our land, but it was not until 1856 that this crop began to spread production in the Province of Castellón. In the mid-twentieth century began to cultivate a large number of varieties, significantly prolonging the harvest period, has now expanded so much this period that we can enjoy this delicious fruit practically from September to May. 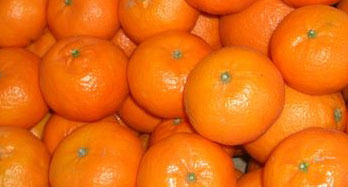 Clementine fine, is one of the most appreciated clementines, also called ground clementine or boneless. Its fabulous pulp has excellent conditions due to the high content of juice and the compensation between sugars and acids, making it one of the most appreciated varieties.